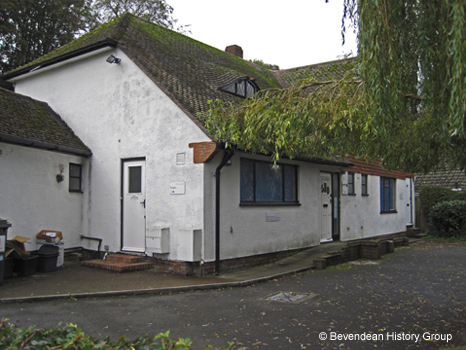 Dr Mary Roberts moved into a Council House at 1 Leybourne Road and started her practice in Lower Bevendean in October 1952. 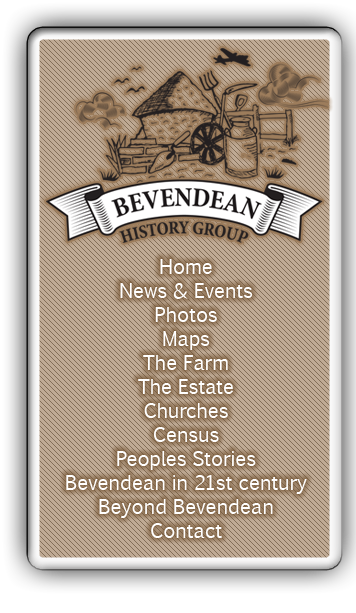 The Brighton Housing Sub-Committee having considered the need for a resident doctor on the Lower Bevendean Estate. They interviewed Dr. Mary Roberts, who had permission to practice in any district in Brighton. She said that she was willing to devote her full time energies to building up a practice at Lower Bevendean; and as the only doctor resident on the estate she would be prepared to do night emergency calls. Dr Roberts said that she would require three bedroom accommodation as her family comprised her husband, a son aged 2 and a housekeeper. The sub-committee gave instructions to the housing manager to report as to the suitability of No. 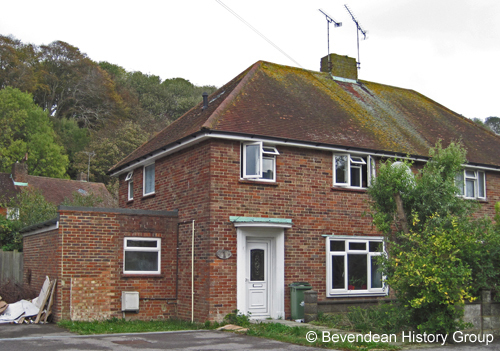 1 Leybourne Road, Lower Bevendean for use as a doctor's residence. In December 1952 the Housing Sub-Committee agreed to have work carried out at No. 1 Leybourne Road to enlarge the store at the side of the house to form a surgery at an estimated cost of £75. Dr Roberts started her practice in 1953 and by 1958 had about 1400 patients. The house in Leybourne Road originally used as a surgery. In July 1956 a letter was submitted to the Housing Sub-Committee from the Secretary of the Brighton Local Medical Committee, forwarding a letter from one of Dr. Mary Roberts’s patients at Lower Bevendean complaining about the waiting room and surgery accommodation. A letter was also submitted from the Clerk of the National Health Service, Brighton Executive Council, dated 19th July 1956, regarding the recent inspection of Dr. Roberts' surgery accommodation, stating that his Council would support an application by Dr. Roberts for any improvement of the present conditions under which she rendered medical services in the Lower Bevendean area. In October 1956 the council informed Dr. Mary Roberts that they were prepared either to lease or to sell to her a plot of land, having an area of 0.33 of an acre, at the junction of Auckland Drive and Heath Hill Avenue. Two years later on the 4th February 1958 Councillor S. E. Fitch wrote to the housing committee, regarding the bad conditions of Dr. Mary Roberts Surgery at 1 Leybourne Road, enquiring whether any action could be taken by the Committee in regard to the cramped conditions. In March 1958 a petition was submitted from 312 residents, protesting against the condition of the surgery, and waiting room, at 1 Leybourne Road, enquiring whether any action could be taken by the Committee in regard to the cramped conditions. By July 1958 Dr Roberts had agreed to purchase the vacant plot of land between the police houses in Auckland Drive and the prefabs in Heath Hill Avenue, to build a surgery and residential accommodation for her family. The sale of the land was completed in December 1958. In March 1959 Dr Roberts moved from 1 Leybourne Road to 50 Heath Hill Avenue to a bungalow built for her, with a surgery on the ground floor in Heath Hill Avenue. 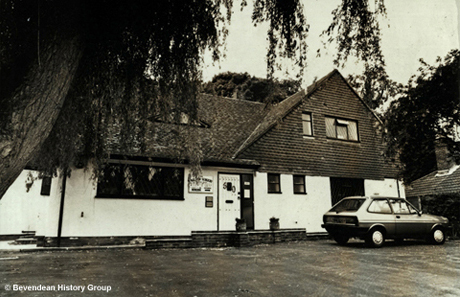 In March 1974 the council gave permission for the building of an extension at the rear of the building to form a conservatory and waiting room and the formation of a receptionist’s office. The old waiting room was then used as the office for the receptionist. Dr Roberts retired on the 1st August 1986. She left Bevendean and sold the surgery to Dr Pritchard who took over the practice with immediate effect. In 1987 the surgery was moved to Portacabins on the car park of The Holy Nativity Church while the surgery in Heath Hill Avenue was refurbished. Dr Pritchard practiced at Lower Bevendean for about 19 years. The Willows Surgery about 1991. About 2005 Dr Pritchard left and sold the building to Bill Packham a property developer who want to rebuild the surgery and put flats over the top. The Willows surgery in 2014. The Argus reported on Monday 19th September 2016 that the GP surgery at the Willows in Heath Hill Avenue Bevendean had closed its doors for the last time, presumably on Friday 16th September 2016. It was announced in January of 2016 that the Practice Group, which ran five surgeries in Brighton and Hove, was pulling out of its contract because of a potential reduction in funding as well as staffing problems. The Willows was one of the five surgeries the group ran. The surgery was demolished early in 2017 as planning permission had been obtained to replace the building with a block of student flats. At the end of October 2017 the site is still derelict. Plans and photographs of the surgery. See Peoples Stories for Carol Hamilton's Memories of Dr. Roberts.